Homes and businesses in Wellington can count on Lindstrom Air Conditioning & Plumbing for all of their heating, air conditioning, plumbing, and HVAC repair and installation needs. 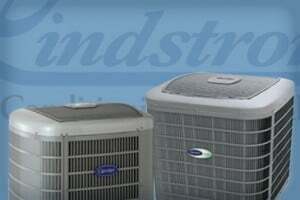 Serving Wellington and the surrounding areas since 1975, Lindstrom Air Conditioning has become one the most trusted service companies in Florida. We also offer a wide range of products including air conditioners, heat pumps, water heaters, thermostats and more. We have over 150 team members that are ready to help you with all of your heating & air and plumbing needs! Our NATE certified, trained technicians have several years of experience when it comes to installing and repairing air conditioners in Wellington. We offer fast, 24 hour emergency AC service if you experience an unexpected air conditioning breakdown. Our vehicles are fully stocked and ready to take on all of your air conditioning repair needs. We also offer a full range of new air conditioning units if you are in the market for a new HVAC system. Lindstrom Plumbing proudly serves the residents of Wellington! From drain clogs and leaks to plumbing parts and new equipment, we are the plumbers to call! Our plumbers meet our rigid trust certification standards and our plumbing services are guaranteed in writing against defects in workmanship and materials. We also offer a wide range of quality plumbing products including water heaters, water filtration systems, and more. For more information on our air conditioning, heating, plumbing, or any other of our products or services, contact us. Don’t forget to ask us about our exclusive 100% Satisfaction Guarantee! Founded back in 1975 by Carl Lindstrom, Lindstrom Air Conditioning & Plumbing has grown primarily through word of mouth, a shining testament to a commitment to excellence in customer service. We work hard to make sure that this tradition continues into the future as we serve homeowners in Wellington and South Florida.